The U.S. Fish & Wildlife Service said today the Endangered Species Act covers two birds from Ecuador: Black-breasted Puffleg (Eriocnemis nigrivestis) and Medium Tree-Finch (Camarhynchus pauper). 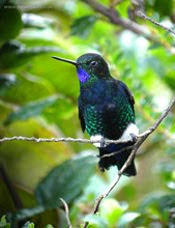 The puffleg, a hummingbird, is native to Volcán Pichincha, and the tree-finch is endemic to the island of Floreana in the Galapagos Islands. The Black-breasted Puffleg population has declined between 50 and 79 percent in the past 12 years, due to habitat destruction, alteration, conversion and fragmentation. 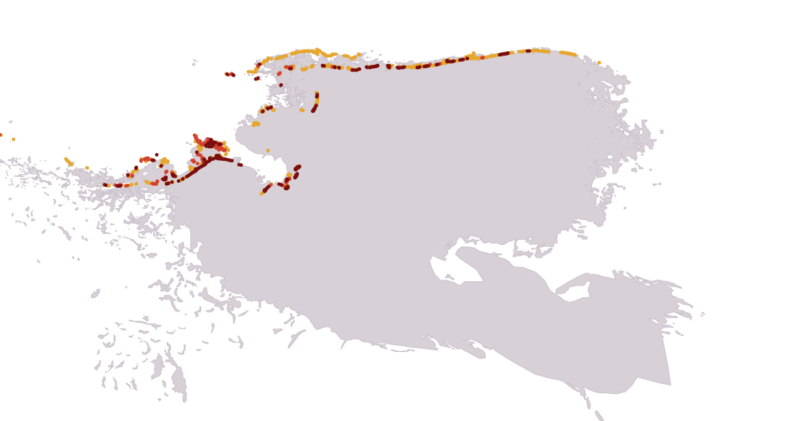 The species’ already small and declining population makes the Black-breasted Puffleg particularly vulnerable to extinction. The Medium Tree-Finch is at risk primarily due to the introduced parasitic fly, Philornis downsi. 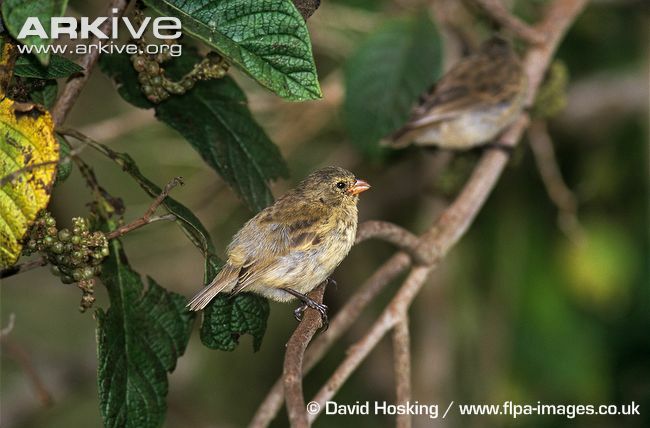 The effects of P. downsi parasitism in finches is severe, accompanied by high incidences of nestling mortality as well as lower fledgling success, reduced nestling growth and reduced hemoglobin levels in nestlings. In addition, the clearing of native vegetation for agriculture and ranching; the destruction and degradation of habitat caused by introduced animals and plants; predation; and inadequate existing regulatory mechanisms are threatening the continued existence of the species. 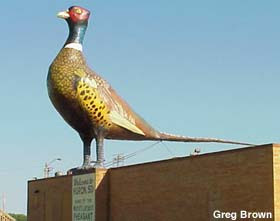 Granting foreign species protection under the Endangered Species Act means import or export of any of the species, or their parts or products, as well as sale in interstate or foreign commerce, is prohibited. The only exceptions are for scientific purposes and to assist in efforts aimed at enhancing the propagation or survival of these species. The final rule appeared in the Federal Register on July 27, 2010. 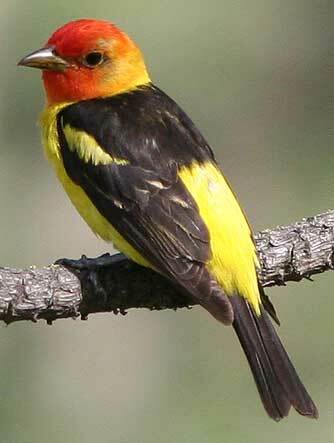 For more information, visit the Service’s website at http://www.fws.gov/endangered/. If you are fortunate enough to see those beetles with tails that flash, you can contribute to Firefly Watch, organized by Museum of Science Boston. 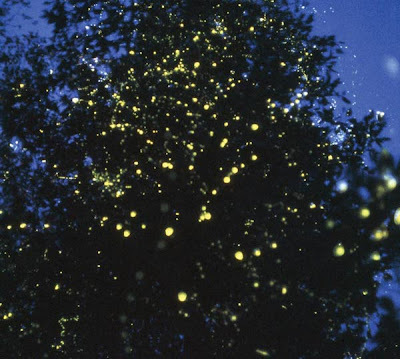 The museum is working with researchers from Tufts University and Fitchburg State College to track fireflies, but they need citizen scientists to help them learn about the beetles' geographic distribution and activity during summer. The museum's website says fireflies might be affected by human-made light and pesticides in lawns, so the data can investigate those effects. This is the event's third year. 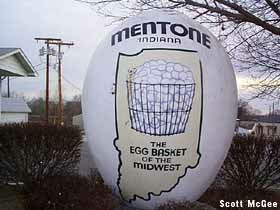 It began in mid-April and will continue through October. You can join the citizen science project now! 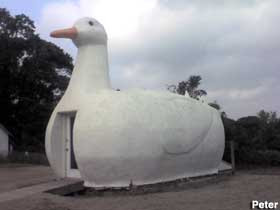 and The Big Duck in Flanders, N.Y.
Has anyone seen these in person? Did you stumble across them or purposefully seek them out? 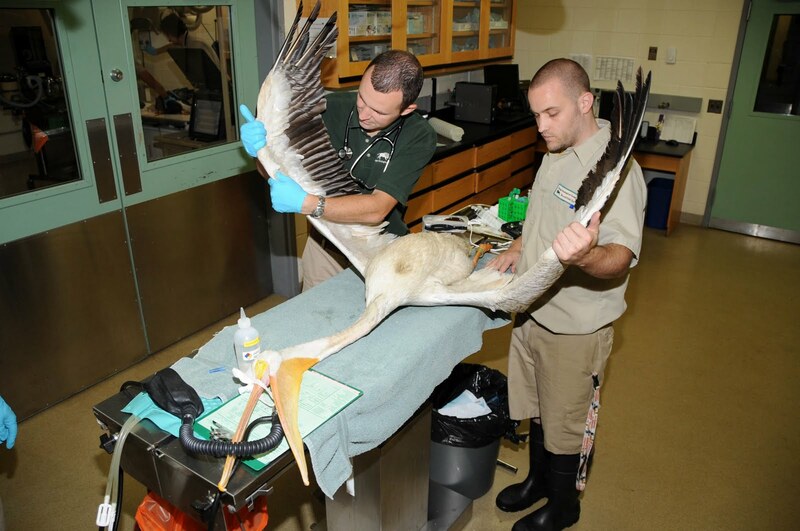 Five American White Pelicans rescued from the Gulf of Mexico oil eruption will live in the Windy City now. 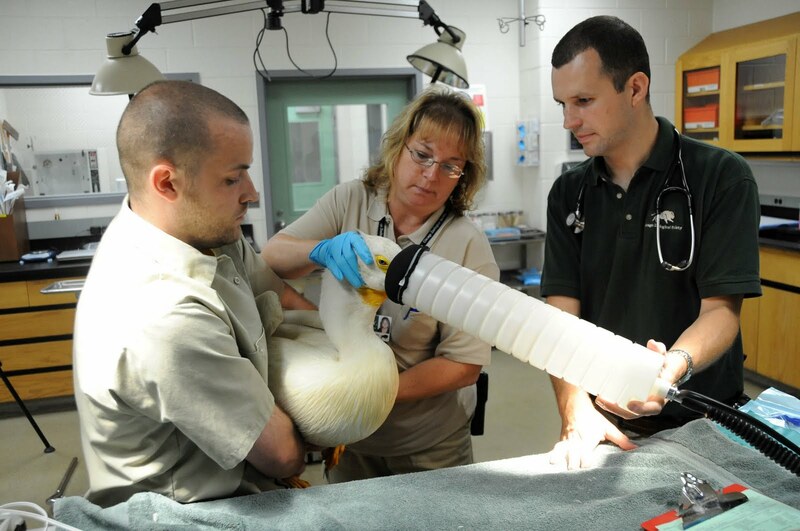 After the oiled waterbirds received care in Louisiana and Missisippi, staff from Chicago Zoological Society’s Brookfield Zoo in Brookfield, Ill., drove to the Magnolia State and retrieved the big birds. 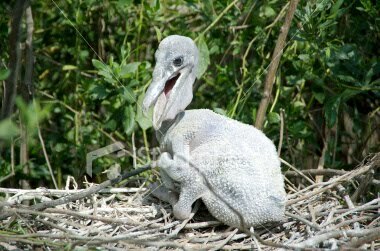 Three of the pelicans are adult age, and the other two are estimated to be less than 2 years old as they still have sub-adult plumage. All five birds, rescued from the Mississippi Canyon area off the coast of Louisiana, had sustained wing injuries prior to the oil spill that prevented them from migrating this past spring to their northern breeding range. When the oil spill occurred, the birds - which were slight to moderately oiled - joined other wildlife species that needed human intervention. They were treated for their injuries by volunteers working with International Bird Rescue Research Center and Tri-State Bird Rescue and Research. Once they were treated, cleaned, and stabilized, the pelicans were transported to Jackson Zoo until permanent homes could be found for them. for a physical examination at Brookfield Zoo’s Animal Hospital. at Brookfield Zoo’s Animal Hospital by Dr. Adkesson, assisted by O’Neill. 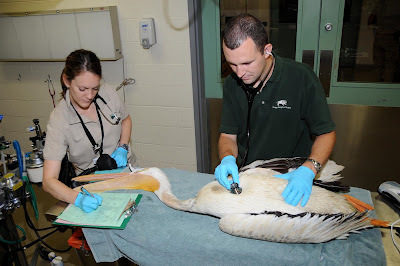 during a physical examination at Brookfield Zoo’s Animal Hospital. He is assisted by Kate Sladek, veterinary technician. The test will shut the well by closing off valves on a new cap that was installed at the wellhead, 5,000 feet down and a few miles from this Coast Guard cutter. BP officials have said that if the test shows that the well can hold pressure, the valves may remain closed. That would end the gusher that began shortly after the Deepwater Horizon drilling rig exploded on April 20, killing 11 workers. It would not end the cleanup, however. That could go on for years. The article includes an interactive map of the oil's presence in the Gulf and a graphic of methods that failed to stop the gushing oil. U.S. Fish & Wildlife Service reports that two men pled guilty to killing Bald Eagles and conspiring to kill and sell Bald Eagle and Golden Eagle parts -- a federal offense. The two Yakama tribal members -- Alfred L. Hawk Jr., 23, and William R. Wahsise, 23 -- hunted and killed eagles by baiting them with wild horses that were killed to attract the eagles. In March of last year, wildlife agents seized 21 Golden Eagle tails, 30 Golden Eagle wings, 31 Bald Eagle tails and two Bald Eagle wings from Hawk’s home and approximately five Golden Eagle tails, 22 Golden Eagle wings and assorted feathers from Golden Eagles and Bald Eagles from Wahsise’s home. Eagles and other protected migratory birds are viewed as sacred in many Native American cultures, and the feathers of the birds are central to religious and spiritual Native American customs. By law, enrolled members of federally recognized Native American tribes are entitled to obtain permits to possess eagle parts for religious purposes, but federal law strictly prohibits selling eagle parts under any circumstances. 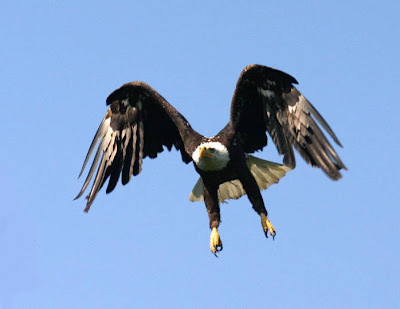 The Fish and Wildlife Service operates the National Eagle Repository, which collects eagles that die naturally or by accident, to supply enrolled members of federally recognized tribes with eagle parts for religious use. The Service has worked to increase the number of salvaged eagles sent to the Repository and make it easier to send birds to the facility by providing shipping materials at no charge. 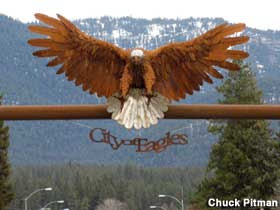 The Repository obtains eagles from state and federal agencies as well as zoos. The penalty for a first-time violation of the Bald and Golden Eagle Protection Act is up to one year in prison and a $250,000 fine, and the second or subsequent conviction is up to two years in prison and a $250,000 fine. The penalty for conspiring to take and sell Bald Eagle and Golden Eagle parts is up to five years in prison and a $250,000 fine. Action for Nature recently honored teens around the world for their environmental work. The Young Eco-Hero Awards highlighted minors age 9 to 16 in Germany, India, Ivory Coast, Pakistan and the United States. Congratulations to these innovative and persistent teenagers! The Pelican Harbor Seabird Station in North Bay Village has become the adoptive home of dozens of Brown Pelican chicks endangered by the oil spill in the Gulf. These chicks are the first to arrive at a facility that's been getting ready to take in avian refugees. 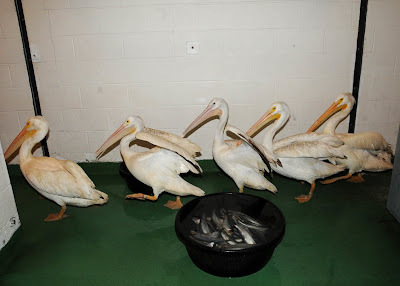 The 45 pelican chicks had been treated at the Fort Jackson Bird Rehabilitation Center in Buras, La., but they could not stay because more birds were expected. Researchers found strains of avian influenza in sparrows and thrushes, according to a Reuters article. This prompts concern for the possibility that the birds might infect pigs, which might incubate new influenza strains. The study, "Mapping the risk of avian influenza in wild birds in the US," appears in the Biomed Central journal "BMC Infectious Diseases." They tested more than 13,000 birds from 225 different species in 41 U.S. states, and found low-pathogenic avian influenza in 22 species, notably fox sparrows, Cassin's finches, Swainson's thrush and Western tanagers.